Although Dominick Cruz’s latest ACL injury was unfortunate news, everybody would have understood if fellow UFC bantamweight contender Raphael Assuncao (pictured) didn’t get a little excited. With Cruz out of commission for the foreseeable future, Assuncao could have slid in and taken the top contender moniker to be the next challenger for 135-pound champion TJ Dillashaw. 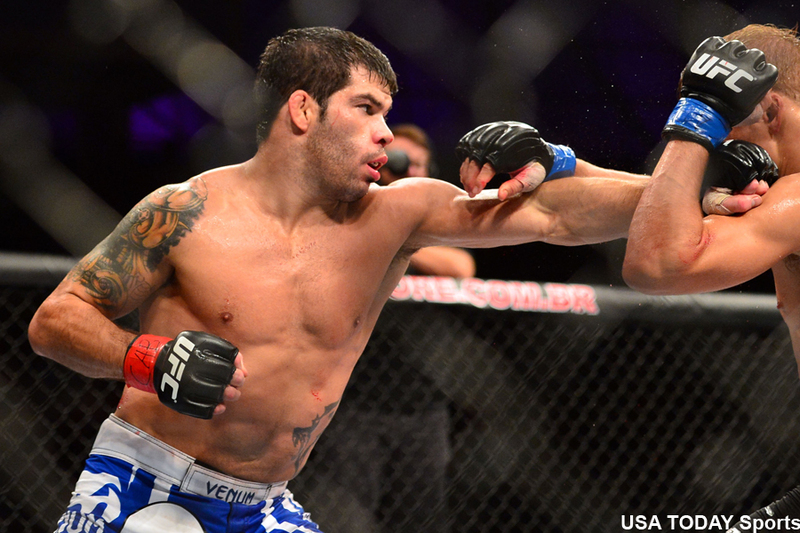 Shortly after Cruz announced his injury on Monday, Assuncao revealed via Twitter that he just broke his ankle. “I am devastated 2 inform that my title shot hopes will be even further delayed due 2 broken ankle suffered in training I am sorry once again,” the Brazilian posted. No word on how long Assuncao will be forced to ride the pine. Assuncao has rattled off seven straight victories. The 32-year-old most recently posted a unanimous decision over Bryan Caraway in October. It appears the most logical move is for former champ Renan Barao to finally get his rematch with Dillashaw. Assuming, of course, Barao can make weight this time around (Please see: UFC 177).